Which Type Of Photos Is Absolutely Suitable For My Website? Which Photos Are Best For My Website? Content marketer always depends on media content (Photos, Videos, Graphical Art, PDF File)to give articles and posts a viral punch. The Photos plays a vital role to making a content better to understand. Photos (always make sure to get a CC photo) play a crucial role in making the content better to understand and easier to read. For example, making an infographic and promoting it via different types of infographic sharing Website is a great marketing technique. I will just talk about which type of photo you should choose for your Website. Which type of Website you have? I mean which category Website you have. Select the perfect category for a Website is one of the best parts for selecting photos. Personally, I have categorized all Website within 3 category. I have realized and try to select the best category all Website within a category. This is absolutely amazing tips, I have generated for blogger or business man. Normally antique auctions or old car selling Website. But you can make Vintage Website for your personal use too. Which type of image should you use for this type of Vintage Website? Let me clear this confusion. Just take a look at this following photo. This photo has two parts. One is original and another part is edited by Photoshop. If you select the second part of this photo for your Vintage Website it will be better. The Vintage effect makes a photo perfect for a vintage Website. Just use Simple vintage Photoshop action for creating Vintage Photo. It’s very simple and anyone can do it. Just watch the following video and it will be clear to you. How to Create a Vintage Photo for Vintage Website? If you think creating a vintage Photo is very hard then you are wrong. Actually, it’s very easy and anyone can do it, just simple basic Photoshop knowledge necessary. If you search for vintage Photoshop Action you can find a lot of free action. Download some Photoshop Action and try this. Online service and Product selling Website generally build with modern Design. In this Website if you put Vintage photo it looks abnormal. Here you can put colorful photos. It’s an opposite type of Vintage Website. Colorful Photo doesn’t mean you use colorful text, background, stroke and texture in an image. Of course, you should follow the best color combination. Check the following image. The first part seems over manipulate and over optimized. You must avoid this type of photos for a Modern Website. Now take a look at the second part. I just simply use a natural background and text. It looks more professional and beautiful than the other part. Business Website should update with latest trends. 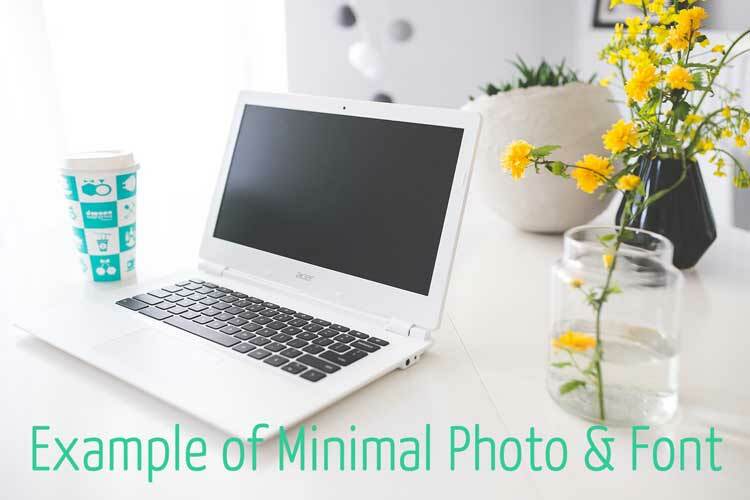 Read the following Minimal Photos for Minimal Website section, You can use minimal Photos for your Business Website too. Be sure that your background object and text object seems clear for the reader. I have used too much text color at the first part and it’s hard to read and understand. But check the 2nd part, I have used a simple color and made a 3px white stroke outside of the text. It looks better than the previous and easy to read and understand. My opinion is to use the 2nd type of image is best for Modern Website. People love minimal Website for their personal Portfolio. Minimal Websites build with necessary content and sections. For example, a photographer generally uses a simple Design for showcasing his or her photos and a contact page. That is enough for a minimal Website. People also use Minimal Design for personal blogging purpose too. Minimalism is the hard part for Website. Choosing photos for a Minimal Website also very difficult. You can put all types of photos in your Portfolio Section but you shouldn’t put any type of photos in your blog section or homepage section. I am going to show you an example of a simple minimal photo with text. If you like to write something on your photo, I prefer to use a simple font like Walkway. This types of font enhance the minimal quality of a photo. Check the following image carefully. After seeing this photo you can realize that Minimal doesn’t mean Black and White. You can see how the yellow flower object adjusts with the background object. Try to use the light version of a minimal font. I have used the light version with a minimal color. Hope you have got which type of photos you should select for your Website and how you can edit your photos via Photoshop or others Photo editor. It’s time to check how this 3 types of Website really looks like. In the market, there are a lot of Themes for WordPress which suitable for Modern Websites. Firstly, I like to talk for TopClass Multipurpose Business & Corporate Theme. 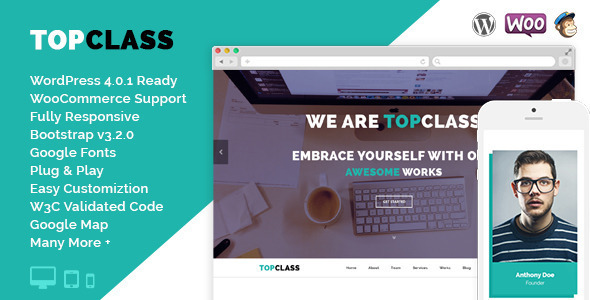 This is a very professional Modern One Page Theme can capable with any type of business. HTML Version also available for this Theme. I will recommend 2 WordPress Themes for Minimal Website. One is suitable for Personal Portfolio and Other is suitable for Personal Blogging Purpose. 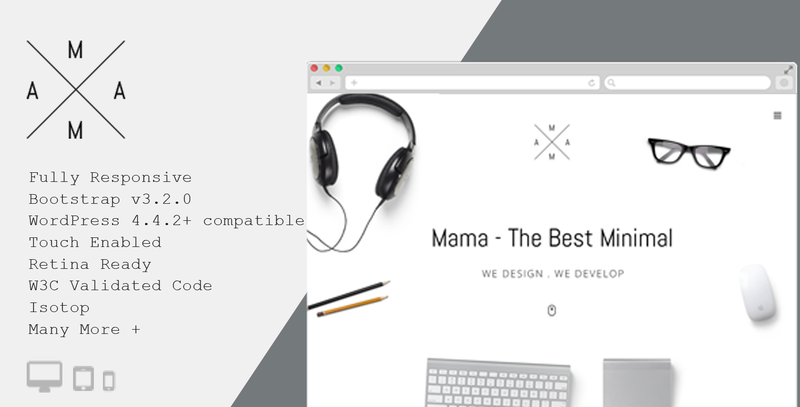 MAMA is a very minimal and creative WordPress Theme. Just check the Demo of MAMA Creative Minimal Theme and you can realize the power of a Minimal Theme. Buy this Theme For $44 and get lifetime update + support. It’s for Personal Portfolio. A-Team the super and cool minimal Personal Blogging Theme. If you are planning to create minimal personal blogging Website then you must check this Theme. 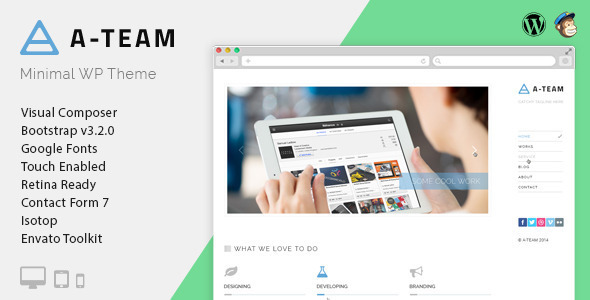 Get A-Team Minimal Blogging Theme for your upcoming personal Blogging Website. Check out the Demo before using this Theme. 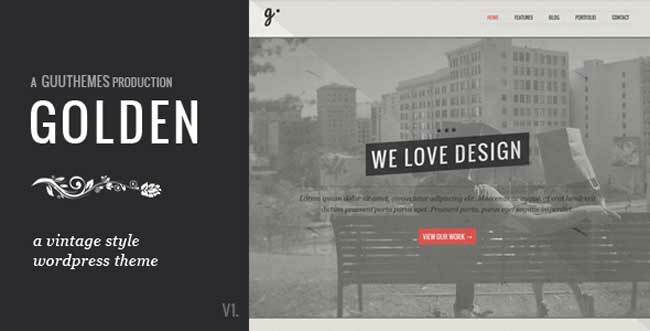 I prefer GOLDEN WordPress Theme for Vintage Website Design. It’s a beautifully elegant, visually stunning, and multi-functional vintage inspired theme. Check out the demo before you download this Theme. It’s time to finish this post. After all, I suggest be simple for choosing photos and Themes for your Website. Check your photos as a visitor, not author. Try to find out the lakes of your Photos and design. If you think it’s perfect then you can use your graphical content for your Website.